The Motley Fool Canada » Cannabis Stocks » Will Marijuana Replace Oil As Canada’s National Treasure? Will Marijuana Replace Oil As Canada’s National Treasure? There’s an old saying in Canada: “as oil goes, so goes the economy.” With the downturn in the oil industry and the surge in marijuana, could that saying be changing to “as marijuana goes, so goes Canada’s economy”? For the past several decades, Canada’s wealth has mostly been driven by oil. In 2018, mineral fuels, which includes oil, were Canada’s largest export, representing 22% of all exports from the country. As the world’s sixth largest producer of oil, Canada has been able to cash in on the world’s dependence on fossil fuels. However, as the world moves toward more environmentally-friendly energy sources, oil producers, drillers and service companies are feeling the sting. Can marijuana replace oil as Canada’s greatest export? For insight, let’s look at two stocks in each industry. Canada is the world’s largest producer of marijuana by market cap. In the few short years leading up to the federal legalization of cannabis sales in Canada, stocks related to marijuana production and distribution have taken off. Contrast that with Canada’s oil stocks. The volatility in oil prices over the past few years, the delays in production and expansion projects and the growing public opposition to fossil fuels have taken their toll on Canada’s largest export. Canada’s two largest marijuana stocks by market cap are Canopy Growth Corporation (TSX:WEED) (NYSE:CGC) and Aurora Cannabis Inc. (TSX:ACB)(NYSE:ACB). Canopy is currently the world’s largest producer of marijuana by market cap. Year to date, the stock is up over 50% and Canopy’s sales are up 280% year over year. Investor confidence in the long-term prospects of the company grew last year when international beverage company Constellation Brands acquired an almost 40% stake in Canopy. Aurora’s stock price has soared almost 90% year to date. Recently, famed investor Nelson Peltz was brought in to lead the company’s long-term plans and strategy. Through recent acquisitions, Aurora has grown its footprint, especially in the medical marijuana industry. In the past 12 months, Aurora has acquired MedReleaf Corp. and CanniMed Therapeutics. Most investors have a negative outlook on the oil industry and oil stocks, as fears regarding climate change propagate and public pressure mounts for countries to adopt clean energy. However, this outlook may be overly pessimistic. Transferring the world’s fuel sources away from fossil fuels will take time. According to a report from the International Energy Agency (IEA), worldwide demand for oil is expected to increase by 7.3% over the next five years. Suncor Energy Inc. (TSX:SU)(NYSE:SU) is the largest Canadian oil producer with a market cap of over $70 billion. Suncor operates in oil production, as well as distribution through the company’s 1700 Petro-Canada fueling stations. Nine months ago, the stock was trading around $55; the current price is hovering around $45. Enbridge Inc. (TSX:ENB)(NYSE:ENB) is North America’s largest pipeline operator. After a disappointing 2018, the stock appeared to stage a comeback in 2019 until the news broke that a crucial pipeline expansion would be delayed for a year. The stock seems to have stalled around $49. Still, the company pays a hefty dividend of over 6%. At first glance, it appears that the winning strategy would be to buy marijuana stocks and sell oil stocks, but there are a few factors to consider. It will be a long time before the world converts solely to renewable energy sources. Based on the IEA’s report, worldwide demand for fossil fuels will increase into the foreseeable future. Until cleaner energy becomes more reliable, affordable and sustainable, the world will remain dependent on fossil fuels. 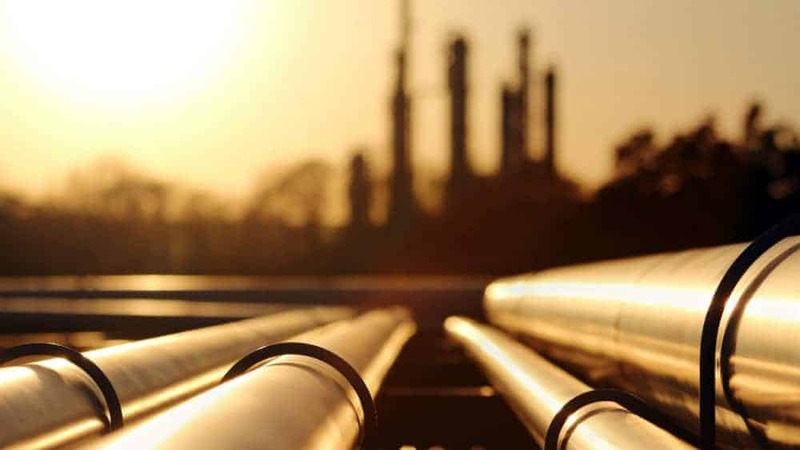 Canada’s oil exports were up 16.9% in 2018 from the prior year, indicating the industry has a long runway ahead. Although the Canadian cannabis industry has huge potential, the industry is still in its infancy. In the next few years, Canada’s marijuana companies will face growing competition from Central and South America, where pot can be grown significantly cheaper. With the recent pullbacks in Suncor and Enbridge, there is still money to be made from Canada’s largest export. Unlike cannabis stocks, oil stocks offer a juicy dividend. And in mid-February, it was disclosed that Warren Buffet had purchased a stake in Suncor through his holding company Berkshire Hathaway – news that was welcomed by shareholders. The stock is up approximately 5% since the stake was announced. Fool contributor Cindy Dye owns shares of ENBRIDGE INC. Enbridge is a recommendation of Stock Advisor Canada.